Gasbarre explains how NASA manages the vast amount of engineering required to successfully plan and execute groundbreaking science missions. 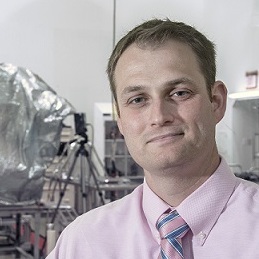 Joe Gasbarre is a senior systems engineer with over 20 years of experience specializing in flight and concept systems development for space-based missions and atmospheric flight vehicles. Gasbarre is currently assigned to NASA’s Office of Chief Engineer (OCE) where he is the Acting Chief Engineer for the Science Mission Directorate (SMD). In this capacity, he serves as the embedded engineering technical authority for the agency responsible for all SMD missions, providing guidance to the SMD Associate Administrator and other senior staff on adherence to agency engineering policies and procedures. Prior to his assignment at NASA Headquarters, Gasbarre served as the SAGE III/ISS Project Manager during the project’s launch and commissioning phase after having served as the project’s chief engineer since project inception. He holds a bachelor’s in aerospace engineering from Pennsylvania State University and a master’s in aerospace systems from the University of Maryland, and has authored or co-authored over 20 technical publications. Joe Gasbarre: It’s a different paradigm working with a hundred missions, give or take, than dealing with two or three very, very large missions. I think most people would be surprised at just how much is happening on a daily, weekly, monthly, quarterly basis. It would really blow your mind. You have this focus on something that you helped develop from the very beginning, all the way through to seeing it produce science that was just a dream at the very beginning of the project. Deana Nunley (Host): You’re listening to Small Steps, Giant Leaps – a NASA APPEL Knowledge Services podcast featuring interviews and stories, tapping into project experiences in order to unravel lessons learned, identify best practices and discover novel ideas. I’m Deana Nunley. Our guest today is from NASA’s Science Mission Directorate. We’re going to talk about science, but the focus is going to be on engineering as we bring in the chief engineer for the Science Mission Directorate, Joe Gasbarre. Joe, thank you for joining us. Host: Let’s start by talking about your role as the Science Mission Directorate Chief Engineer. What are some of the challenges of being an engineer, specifically chief engineer in a mission directorate that focuses on science? Gasbarre: The Science Mission Directorate is the second largest mission directorate at NASA. The SMD group as a whole is focused on science as an outcome, not necessarily a means to achieve that outcome. So, when we’re looking to get that groundbreaking science, it requires a vast amount of engineering, everything that people are familiar with, from defining requirements to designing solutions to achieve those requirements, fabricating and testing the systems that we design, deploying and operating those systems, and then, finally, completing the mission and ending the mission gracefully. All that comes from the engineering side of SMD. So, the chief engineer for the mission directorate is responsible for looking at all the technical progress that’s going on across the mission directorate’s broad portfolio, and assessing whether there are issues that cross boundaries, that cross into areas that other groups may not be thinking about. They provide that technical engineering voice that balances out how the science and scientists, who are primarily those who run the leadership positions for the different divisions within SMD, to provide them with a technical engineering view of how their projects and programs are progressing. That is a challenge. Like I said, most of the people in the mission directorate at NASA headquarters are scientists. There’s a good mix of engineers, but, again, they really rely on our expertise as the chief engineers to provide them that information that they require, when they’re trying to assess how a project is progressing and whether it is achieving its goals. Will it be launched on time? Will it meet the requirements that we laid out for it, that we set out when we either competed a project or a program or directed it to be done, to get a very particular high-value piece of science? So, the SMD chief engineer occupies an interesting role in that respect. It may also be worth pointing out that the chief engineer of a mission directorate is a different term than a chief engineer maybe for a particular activity, like a project or a program. Many of the different NASA centers and organizations throughout both government and private industry have different names for the lead technical person on a project. Some people refer to it as chief engineer. Other people refer to it as the mission systems engineer, the lead systems engineer, the chief architect. Many terms describe that position. That’s a very different thing than being an organizational chief engineer, such as the SMD Chief Engineer, which, in our case, it’s about assessing across multiple projects and programs. When you’re on a single project or program, you’re looking at completing the technical implementation of that project, and making sure that you’re looking across the project. So, it’s a different scope that you’re dealing with at a mission directorate level. Host: How would you describe your working relationship with the chief engineers of NASA science programs and projects across the agency? Gasbarre: It’s a very good relationship that we have. We tend to touch base on a very regular basis, usually ever week or every other week with the different implementing NASA centers, because most of SMD’s projects and programs are run through one of the NASA centers. So similar to the Science Mission Directorate chief engineer, each center has a chief engineer or a lead engineer. So, working with those people to understand more directly what’s going on with the projects and programs at their center is very important, because they have a view at a lower level that we may not necessarily be able to see from where we sit. So, there’s a really good information exchange on a regular basis with the NASA center chief engineers. Then on particular projects and programs, we get to meet with those technical leads on a fairly regular basis, usually on a quarterly basis. But we also make sure that we open our door whenever there’s any kind of technical or other concern on a project. If there’s something that they see that they want us to be aware of, they all know how to get in touch with us, if not directly for some of our larger programs, they can always work with their center chief engineer or, in some cases, the Science Mission Directorate has broken up the work into programs, and there’s actually a program chief engineer that’s assigned at a NASA center. That would be the person that they would work through, and then that person would get in touch with us. It’s a good relationship. A lot of the people that work as chief engineers or mission systems engineers on our larger projects have decades of experience doing this. So, it’s one of those things where nobody has the right answer all the time. So, we tend to bounce ideas off of each other, learn from each other as we go along. Just like any other relationship, it’s important that you’re always listening and understanding the concerns that that particular person has and trying to see it from their point of view. Host: What’s the biggest impact or perhaps lasting influence a chief engineer has on projects? Gasbarre: That’s a great question. As the lead technical person on a project, you’re in a unique and singular position to influence how the shape of that project takes hold, if you’re lucky enough to have been on the project from the very beginning, when the original concept was put together. A lot of people refer to that period as NASA projects are broken up into phases, and they refer to that phase as either pre-Phase A or Phase A. In that phase, a lot of the initial shaping or the molding of the clay starts. If you’re a chief engineer or a mission systems engineer that’s involved in that part of the process, you can start to direct kind of the high-level technical trades about that project at that early stage. Then when we move into the end of the formulation phase, which in the NASA vernacular is pre-Phase A, Phase A and Phase B, we have a crossover point at our preliminary design review or PDR, where a project is ready to move into implementation. The project gets confirmed as an official project that’s going to move forward into implementation. That happens usually at NASA Headquarters, a big NASA Headquarters meeting called the Key Decision Point C.
Then from that point on, it’s about taking the design that fell out of that concept that as the chief engineer you helped mold, and actually putting it into action. We’re going to start making engineering models or test units to check out some of our more complex, maybe not so sure that this design is the way that we would want to go, and then progressing through to fabrication of the flight unit, the thing that’s actually going to go either up into space or on a balloon or in an aircraft. In that phase, as the chief engineer, your position is one of checking to make sure all the different people and items and activities are happening in unison. That’s a very challenging thing. You usually have a whole team of people that are helping you on your systems engineering team to work those seams or gaps. Any project that I’ve ever seen, you always have issues with seams and gaps. This group may not necessarily be aware of what’s going on with another part of the project. So, making sure that somebody is covering, to make sure that they are working together and they’re not pursuing different goals is a real challenge. That comes to a head during the implementation phase through fabrication and then environmental tests that happen at the end of the implementation phase, where the project is taken through a rigorous test program that simulates its flight environment. And for spaceflight programs, that’s usually a series of vibration tests, tests to check electromagnetic compatibility, and then, finally, a thermal test, a thermal vacuum test, which is essentially a space simulation test, a space environment simulation test. If you get through all that, you get the pleasure of stacking your beloved project up on a rocket and watching it launch to space, if it’s a spaceflight project, and hoping that it gets placed into the right orbit. Then from there, the chief engineer’s role is really to make sure that the checkout, once it’s on orbit, happens the way that people are expecting it to, so that you can then turn the project over to those that will operate it, usually a group of people that are specialized mission operators as well as the science team. In a Science Mission Directorate mission, the ultimate goal is to turn the ownership of everything that you’ve built over to the chief scientist or the principal investigator on what are called PI-led missions, so that they can go get the valuable science that everybody was expecting from them. So the lasting influence of the chief engineer is seeing that science come through, come down, and seeing all the great work that’s done, that’s put up in the news media, in academic papers and findings, follow-on activities, to see that all the hard work you put in for – in some cases, we’ve got projects such as the James Webb Space Telescope, where people will have spent 10 or 15 years of their career on the same project. So, they’re going to look back when James Webb delivers that exquisite science, and they should be very proud of what they were able to achieve. Host: That’s a great explanation. Thanks, Joe. Host: You’ve worked at both the center and the agency level in technical leadership positions. What are some of the similarities and differences of the agency perspective versus a center perspective? Gasbarre: When you work, again, generally at a NASA center, you are involved in the planning and execution of a particular project. In some cases, if you’re an organizational technical lead or chief engineer, sometimes you’re involved in implementation of several projects at once, especially at some of our larger NASA centers like Goddard Space Flight Center or NASA’s Jet Propulsion Laboratory. But you are focused on those projects and seeing that they get through. You’re not necessarily looking at multiple projects across multiple groups. Many times, if you’re focused on SMD missions, you’re not necessarily paying that close attention to what’s going on in human spaceflight or aeronautics or in our Space Technology Mission Directorate, the kinds of work that they’re doing. So, you really don’t have that much time to pop up and kind of see what’s going on across the entire agency. So, you rely on people working at the agency level to provide you that information. So, when you move up to work at the agency level, your job is to really provide that kind of information and guidance to the centers and the chief engineers and the people working those projects in real time. You also have this responsibility at the agency level, which is different than at the center level, for supplying information and guidance to the people who are making longer term decisions. A lot of times, with SMD or at the agency, they’re developing policy. There’s a lot more focus on developing positions with respect to what are we doing across the entire portfolio. What are we doing to address the needs of our members of Congress and the particular information that they’re writing into different parts of appropriations language, if you will. Then what can we do to improve the agency across the board? Is there something in project management improvement? So, we have activities going on at headquarters right now, in which a lot of the mission directorate chief engineers and the Office of Chief Engineer are involved to improve project and program management, something that we are responding to actions from the agency and from the Government Accountability Office. So those are the things that usually at the center level you’re not thinking about, because you’ve got a job to do to execute these particular projects. So, you’re kind of glad for the agency people to cover that for you. Luckily, those people are there to take care of that, so you can get your job done. Host: Let’s switch gears and look back at some of your previous roles. 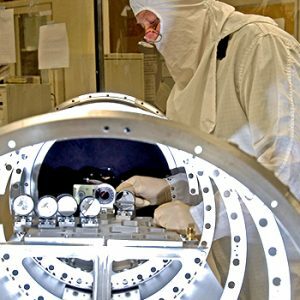 What’s it like to do in-house spaceflight hardware development at one of NASA’s small centers such as Langley Research Center, which primarily does research? Gasbarre: I think the first thing to keep in mind is that NASA is, in general, fairly unique in the federal government. We do have at every center in the agency, including the research centers, we have people on the centers doing spaceflight hardware work, whether that’s a very small project or a research technology development project, or something as large as part of the Mars 2020 rovers that are being built and integrated in-house at the Jet Propulsion Laboratory. It is kind of a unique position. If you look at a lot of the other government labs and agencies, it’s not that usual that they’re doing that kind of work. So, it is something to be proud of as somebody who works at NASA, that we have people that can do this very complicated work and do it well. So at a small center like NASA Langley, we don’t tend to focus on spaceflight as our primary goal. Although, I would say that over the decades, the way that we approach what’s done in space versus what used to be called fundamental research has changed. We tend to kind of mix up the different buckets quite a bit. We tend to have people who contribute the deep knowledge that they have from being involved in research projects to provide information and subject matter expertise on the execution of spaceflight projects. So, it happens on a less frequent basis, but it does happen where a small center, a research center has a project that is focused on a particular science measurement or a particular item that they need to deliver, where they’re doing the work in-house at the smaller center. I had the opportunity to work on a project, where it was an Earth-observing project called the Stratospheric Aerosol and Gas Experiment, or SAGE. It was actually the fifth generation of that instrument, and NASA Langley had contributed to and had managed that project over the last three decades. It was a project that contributed to some of the information that led to things like the Montreal Protocol. If you remember, in the mid-1980s there was a lot of concern about chlorofluorocarbons and having a hole in the ozone layer. So, there was a lot of concern about the depletion of the ozone layer, and the SAGE measurements were part of the measurements that led to seeing that there was a decline in the ozone layer. Then once the world got together and signed the Montreal Protocol, which led to the ban of CFCs across the world, we’re able to continue that measurement and that record to show the recovery of the ozone layer that we hope continues. When we launched SAGE III in 2017, we were hoping to see the tail end of the continuity in the record of the ozone layer, to see that it was recovering as scientists had hoped. So that was a very particular atmospheric composition science goal that Langley had always had a piece of. So that was an opportunity to work on an in-house spaceflight development at a smaller center. And there are examples at Glenn Research Center, at Ames Research Center, which are the two other main research centers within the agency, where they have these areas that they’re working in that. The other thing that happens quite often at the research centers is they get involved in technology development. So, a lot of spaceflight hardware development, in-house hardware development happens around turning some of the research that they’ve worked on into a demonstration that flies in space. So, it’s kind of a unique thing. Working at a small center, there’s not as many resources. There’s not as much emphasis on spaceflight hardware development as you might find at a Goddard Space Flight Center or a Johnson Space Center. So, you have to make do. You have to understand that you don’t have a whole group of people that are familiar with this from doing it over and over and over again. So, it actually puts a lot more emphasis on the teamwork and the work of the chief engineer and some of the technical leads to make sure that they are watching those seams and those gaps between the different areas, because your independent people on any particular part of the project may not – this may be the first time or the second time that they’ve ever done this. So they may not be as experienced at understanding, “Hey, if I change the size of this electronics box, that’s going to have all these effects to the rest of the project.” So that’s a very unique experience. I will say that smaller projects, such as those that happen at research centers and, again, projects of all sizes happen at the larger spaceflight centers, but it does give you a very good appreciation for the entire project life cycle for all the effects that go into it, something that allows you to apply that to multiple scenarios and multiple missions. So, it gave me quite a leg up when I saw that same process repeat in multiple projects, when I came up to the agency to help out in the Science Mission Directorate as the chief engineer. Host: What are a few of the missions you’re working on now that garner a lot of interest? Gasbarre: The Science Mission Directorate, we have over 40 missions in either formulation or implementation, so stepping through the different phases of development prior to launch. Then we have another 55 or so that are either in operations or extended operations, things that have been like – the classic example is the Voyager missions. They’ve been operating for 40 years. So, we look at all of those projects. The ones that stand out that are in development right now, obviously, the James Webb Space Telescope is a large effort, has been going on for 10-plus years. It’s getting very close to being completed, and so we watch that one very carefully. Mars 2020 is another large project that we’ll launch in July of 2020 — another flagship mission that’s nearing completion. Then on the smaller end, we’ve got a tremendous amount of missions. In fact, here within a couple of weeks we’ll be launching the Orbiting Carbon Observatory 3 or OCO-3. That is a mission that will be launched to the International Space Station, something that is very similar to the SAGE III mission that I launched, which also went to the International Space Station. That is also a follow-on to a mission that had been going for a very long time called OCO-2. So OCO-3 will carry that measurement, where it will be measuring and mapping carbon dioxide in detail across the entire globe, a very important measurement when you start to talk about sources of carbon dioxide and sinks of carbon dioxide, and what the different processes are that create different areas of atmospheric carbon dioxide, both manmade and natural. Then the other focus in the Science Mission Directorate over the last two or three years has been what can we do to increase the number of missions. So, we’ve been spending a lot of time looking at small satellite missions, things where we can launch multiple spacecraft at once, perhaps have a fleet or a constellation of different spacecraft that all make up a mission. So, there are a couple of missions in early development that are looking at that. One mission that was launched a few years ago was kind of a precursor mission that launched out of the Earth Science Division within the Science Mission Directorate called CYGNSS. That is a mission that looks at tropical cyclone development. So that’s a very early example of what we can do with a constellation. They’re producing science that is very important for people who worry about things like hurricanes and tropical cyclones in Asia. So, we have missions going in heliophysics. I was lucky enough to be part of the launch campaign and the launch of the Parker Solar Probe last summer. That was a tremendous mission that is going to bring back some information about the sun that we’ve never been able to gather. It’s going to get closer to the sun than any mission that’s ever launched. So, we have a quite a portfolio. It’s a different paradigm working with a hundred missions, give or take, than dealing with two or three very, very large missions. Keeping track of them all is one of the jobs of a chief engineer. Host: So far what has been your most rewarding project, science or research to be involved in? Gasbarre: It’s really hard to beat being a project chief engineer, mainly because you have this focus on something that you helped develop from the very beginning, all the way through to seeing it produce science that was just a dream at the very beginning of the project. So, I would think as a career, something that’s impacted me so far has been that experience that I had as a project chief engineer on the SAGE III mission that, like I said, we launched back in 2017. That said, the last year and a half up here at NASA Headquarters, working in the Science Mission Directorate, there have been multiple things that I’ve been involved in that have really had an impact on the way that I see not only my career, but really NASA in general. We had a year in calendar year 2018 in SMD where I think we supported something like eight or nine launches, which is one of the highest number of launches that we’ve ever had in SMD. There were two or three of those that really were challenging. The Parker Solar Probe is one that I mentioned. That one had a few little issues and hang-ups toward the very end. So, it was very rewarding to see that launch. It launched on a Delta IV Heavy, which is an extra-large launch vehicle, and so a very impressive launch from Kennedy Space Center in Cape Canaveral down in Florida. Then I think one of the last ones in 2018 that I remember actually being at was the ICESat-2 launch, which was launched out of Vandenberg Air Force Base, out at California. That’s a mission that has a laser that’s measuring ice elevation from a polar orbit. I, early in my career, had the opportunity to work on the CALIPSO mission, which is another space-based laser lidar mission. So, the ICESat-2 mission was something that I was paying very close attention to. But yeah, it’s very hard to really point out one particular project or event, because the whole time I’ve been up at the Science Mission Directorate in this position, it’s really been a joy to work here and to experience the day-to-day flow of information and activity. I would say sometimes it’s almost overwhelming how much gets done across the agency. I think most people would be surprised at just how much is happening on a daily, weekly, monthly, quarterly basis. It would really blow your mind. Host: How long have you been with NASA, and how long have you been with SMD? Gasbarre: I’ve been a NASA civil servant for almost 20 years. I started as a cooperative education student back at NASA Langley in Hampton, Virginia, right out of undergrad. I was an aerospace engineering student at Penn State University actually, in Pennsylvania. I had the opportunity to do a cooperative education rotation at NASA Langley. I jumped at the chance and basically never left. I had the opportunity to get hired on at a time when NASA wasn’t hiring that many people. That just kind of blossomed into a career where – for whatever reason, I had the opportunity to be placed on a few different flight projects in these very narrow areas that NASA Langley was working with science on. Then I had the opportunity after my rotation as a chief engineer on the SAGE III mission to come up to headquarters and work with the Office of the Chief Engineer, and be the SMD Chief Engineer for a period of time. It’s been a year and a half that I’ve been in this position. I’ll rotate back to NASA Langley and they’ll have somebody else come in here and do this job, but it has been something that I’ll never be able to forget. Host: From your vantage point, after 20 years with the agency, how do you see NASA’s workforce demographics factoring into planning and executing science and engineering projects? Gasbarre: NASA is not that dissimilar from a lot of other areas of the federal government. We have a large group of people that have worked at NASA for many decades. There’s a bubble, in fact, of people who have 25 to 30 years of experience or more, who are in a position within the next five to 10 years to retire. There really was a period within NASA from about the mid-1990s through about 2004/2005, where there were very few people hired. So demographically, we have a challenge ahead of us to ensure that as the very experienced engineers and scientists are leaving that we can fill all those gaps. It really comes down to making sure that the group not only that is right behind them, the demographic group that I’m in, people with 15 to 25 years of experience, but the groups of people that we’ve hired in the last five to 10 years, that we get them the right hands-on training, so that they know how to execute our different projects. That’s where having some experience working in-house engineering development and spaceflight projects is absolutely critical, keeping that workforce sharp. They understand at a component level what it takes to get different work done, so that later in their career when maybe it’s a larger project, maybe it’s a different project, they’re being the cognizant subject matter expert or oversight on a project that maybe one of our great prime contractors, industry partners, commercial industry are executing, that you have that experience to back up what that contractor is doing and to understand how they’re executing. That has been a challenge because the numbers have been out of proportion, and I think NASA, through hiring initiatives that I’ve seen over the last three to five years have been really on this kick of, “Hey, we need to start hiring. We need to start bringing in people who are coming straight out of college or maybe some of our contractors who only have a few years of experience, would they be interested in becoming a civil servant.” Those are things that are really picking up steam, and I expect to pick up even more steam over the next five to 10 years. But it is a challenge. In a lot of ways, it’s going to fall on this smaller group of people that are, just from a numbers perspective, there’s just not that many people in that 20-plus-year experience gap to be able to bridge that gap to that next generation that’s coming online right now. Host: Very interesting, something to definitely keep an eye on. Joe, thanks for taking time to talk with us today. Gasbarre: Thank you. It was my pleasure. I’m always available. If anybody ever has any questions, I’m sure you can get my contact information. I’m always happy to chat with anybody that’s interested. Host: Thank you so much. Is there anything else you’d like to add? Gasbarre: I would just like to say that working at NASA is just as exciting as everybody has described it. I think there’s a lot of thought that maybe you grow up, you see NASA, and you hear about the Apollo days and the shuttle days and launching the International Space Station, and you may think that all the good stuff is behind us, but that’s not the world that I’ve seen. We have a lot of exciting work that is being put on our plate and it’s just as exciting, if not more exciting, than you imagined when you were 10 or 12 years old watching a rocket launch. So I would say to the people that are thinking about going into engineering or science as a career, come on board. We would love to have you and you’ll have a great time. Host: You’ll find links to topics mentioned on the show today along with Joe’s bio and a transcript on our website at APPEL.NASA.gov/podcast. We’d like to hear your ideas for future shows. If you want to suggest a guest or topic, please let us know on Twitter at NASA_APPEL and use the hashtag SmallStepsGiantLeaps. If you haven’t already, here’s a quick reminder to subscribe to the podcast so you won’t miss an episode of Small Steps Giant Leaps.